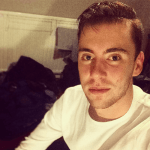 Tom Love (@TomLove_18) previews Leeds v Middlesbrough and provides us with his best bets for Friday nights clash by analysing team news, potential line ups, head to head, key stats, facts and more. The top two in the Championship meet in West Yorkshire on Friday night for a much anticipated encounter. Leeds have lit up the league so far this season with Marcelo Bielsa successfully implementing his high energy style that opposition teams have struggled to keep up with. Impressive displays away at Derby and Norwich saw the Whites score 7 goals in total and goals have been a theme of their games thus far. One problem Leeds face here is the fact they’re coming up against the tightest defence in the league in Middlesborough. It’s no surprise to see a Tony Pulis side rank so highly in the clean sheet records, failing to concede in 4 of their 5 league games. Daniel Ayala is now back in the side after a few games out but England U21 centre half Dael Fry stepped into his shoes with great confidence. Aden Flint has also settled in well at Teeside and he along with Ayala will pose this Leeds side with a real threat from set pieces. Leeds will be without Liam Cooper and new signing Izzy Brown due to injury. Middlesborough are unlikely to start Martin Braithwaite due to his willingness to get a move abroad before the deadline. Jordan Hugill is likely to take the strikers mantle as Rudy Gestede is still out. New loan signing Sam McQueen is available for Boro but unlikely to start straight after his move. Potential Leeds Starting XI: Peacock-Farrell, Ayling, Jansson, Berardi, Douglas, Phillips, Klich, Hernandez, Saiz, Alioski, Roofe. Potential Middlesborough Starting XI: Randolph, Shotton, Ayala, Flint, Fry, Friend, Clayton, Besic, Downing, Hugill, Assombalonga. Middlesborough tend to struggle at Elland Road (D1, L4) in their last 5 trips. However, historical data shows their is nothing between the sides, even from a large sample size. Of their 68 meetings Leeds have won 25, Middlesborough have won 24 and the remaining 19 ended all square. I think Leeds have been a little bit overrated in the markets for this one, they’re as short as 11/10 in some places with best price 5/4. They’re coming up against a well drilled Boro side and Leeds will have to be on top form to break them down. I’m going to swerve the outright markets and hope Middlesbrough can keep Leeds fairly quiet. Under 2.5 goals has been chalked up at 47/50 with MarathonBet and that appeals. In games where it’s a free scoring team versus an extremely tight team, I like to side with a lower goal expectancy and with the line set at a flat 2.5 I’ll take the unders. One alternative market that catches my eye is the card market. Both these sides have players who love a tackle and this match is usually feisty. Players in the middle of the park are Kalvin Phillips, Adam Clayton and Mo Besic who all like to get stuck in. Full backs Luke Ayling, Ryan Shotton and George Friend also don’t mind a yellow. 50+ booking points has been chalked up at 10/11 with SkyBet and that looks of interest. 10 booking points are awarded for a yellow card and 25 are awarded for a red card.